2 Chainz was one of the many dope acts that New York fans were treated to at radio station 105.1’s Powerhouse 2013 event. Go behind the scenes with the G.O.O.D. Music rapper as cameras follow along before and after his energy packed performance. 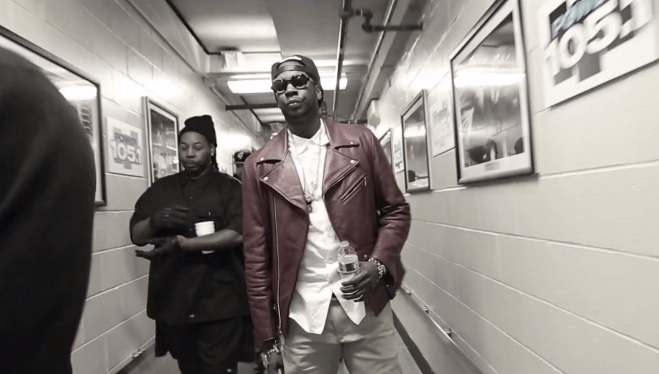 Check out 2 Chainz get the Barclays Center extra live with his slew of smash hits. This entry was posted in Miscallenous, Video and tagged 2 chainz, 2013, 2chainz, barclays center, hip hop, new york city, Power 105, powherouse, rap, recap. Bookmark the permalink.